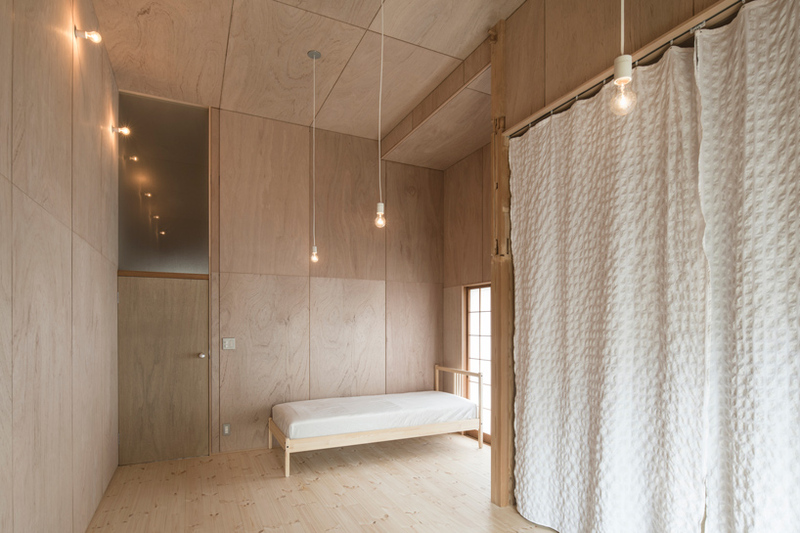 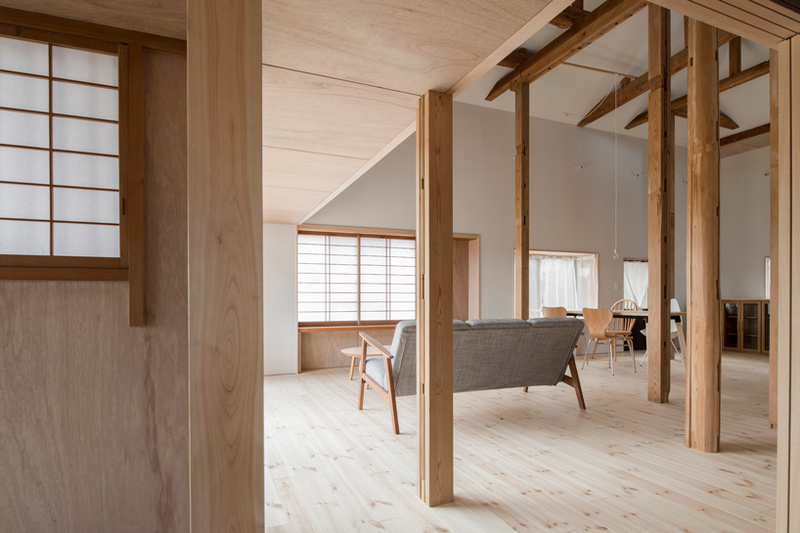 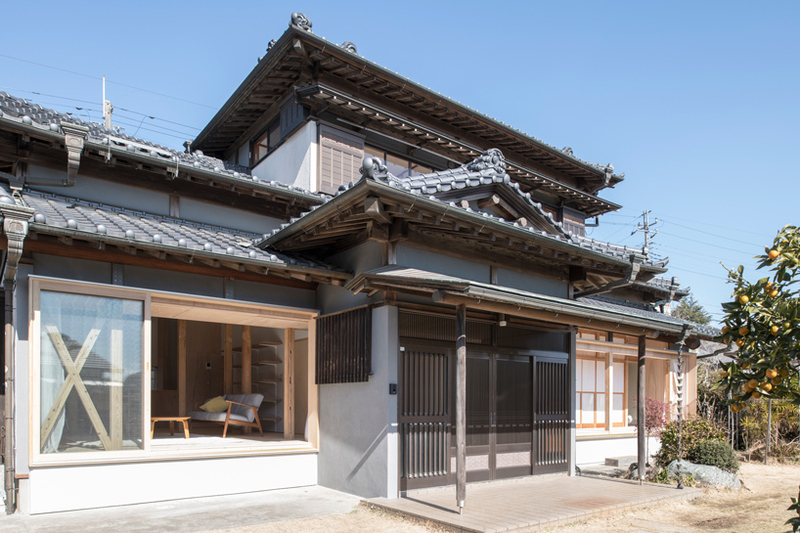 tokudaction presents the renovation of a residential japanese heritage building in sakura city, japan. 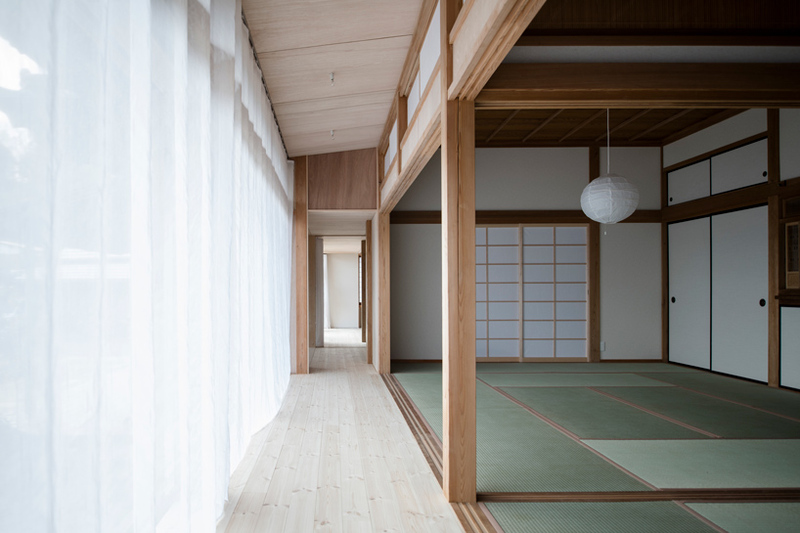 the tradition organization of the space leads to a very low entrance porch, or genkan, preceding a double-height living room flanked by wide side porches, or engawa, protected by wide glazed openings. 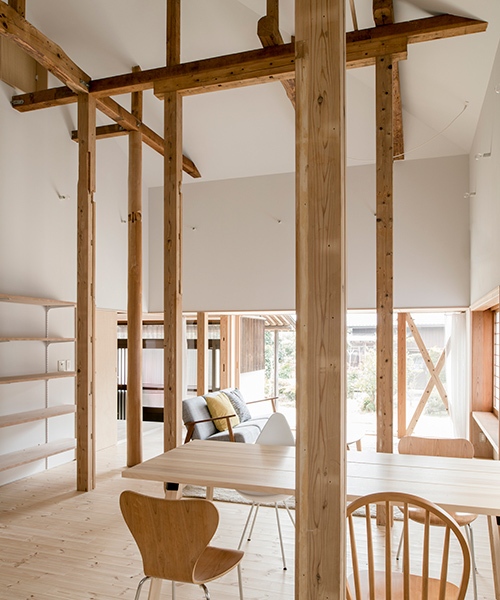 with ceiling heights that range from 1.8 meters to 5 meters, the aim of the studio was to generate a variety of interior scales, and a place beyond the framework of the regular ‘housing’ typology. 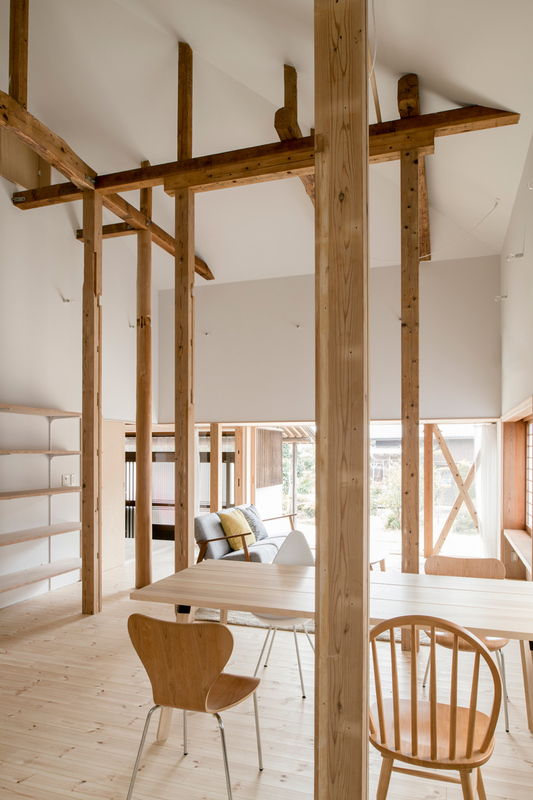 one of the main concerns was to ensure that, while every room is distinct, the overall project offered the occupants a spatial continuity. 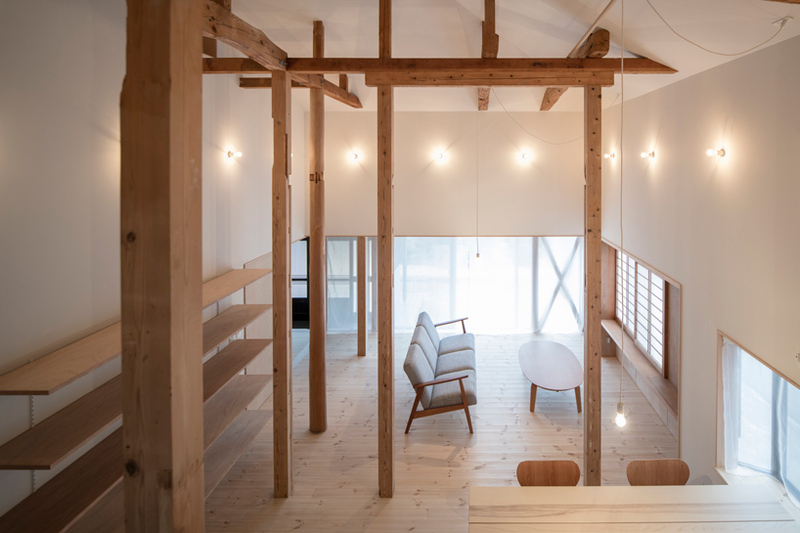 this was achieved through the careful use of materials, textiles and lighting fixtures, so that, despite the differences in scale, the many spaces shared a comprehensive visual language. 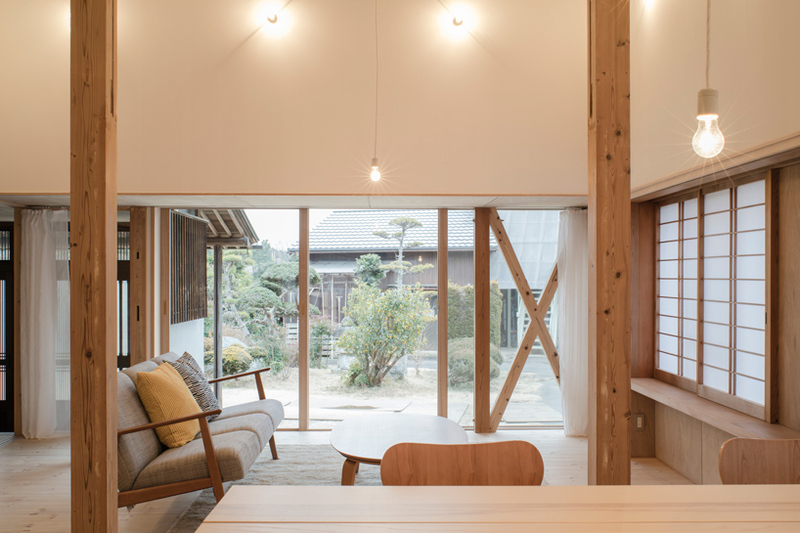 as the original structure was the childhood home of the client, architect naoyuki tokuda of tokudaction aimed to preserve a memory of her personal experience. 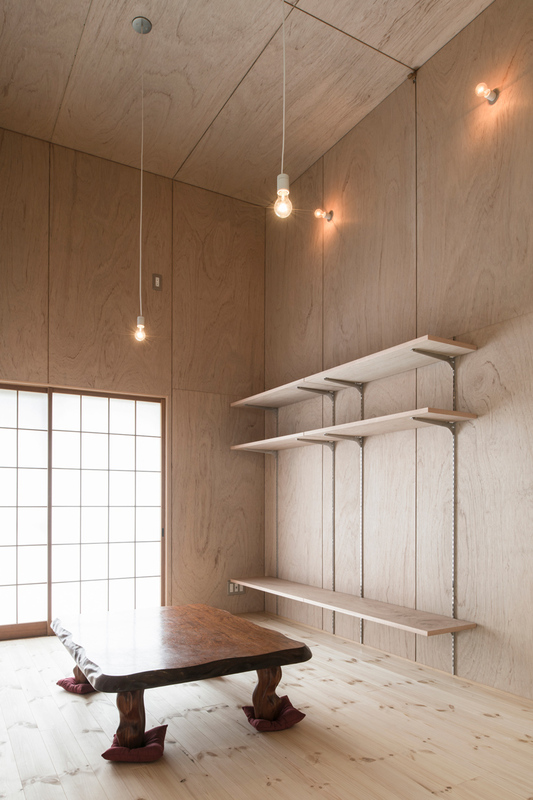 this endeavor served to drive the design process and inform decisions regarding spatial organization and materiality. 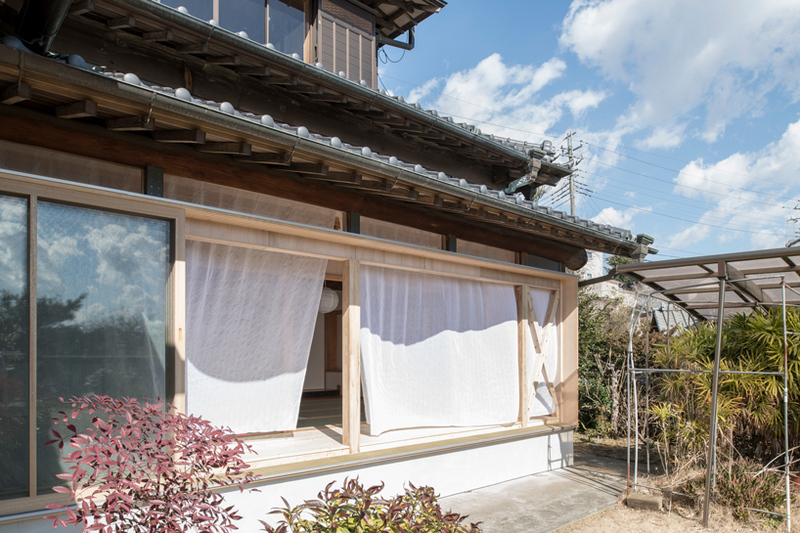 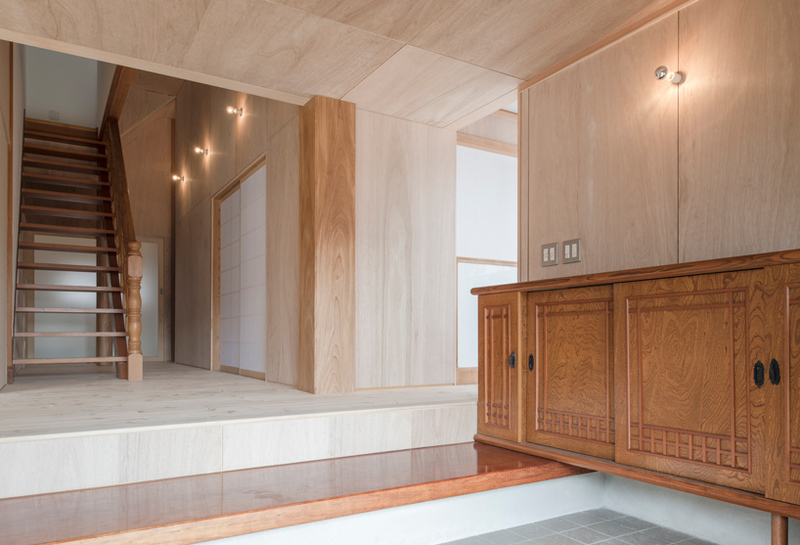 the original souji — japanese paper-covered sliding door — was left in place, among several other small elements of the house which were left in their original condition with only minimum repair. 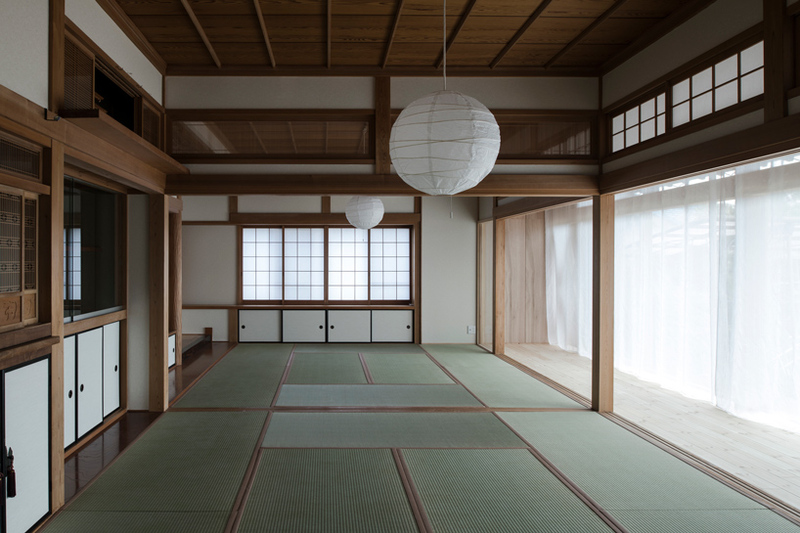 these forgotten memories are thought of as ‘footprints,’ waiting to be re-discovered in architecture and enrich the life of the people living there.